What Is YouTube? How Do I Use It? Founded in 2005, YouTube is one of the most popular video sites on the Web today. Millions of videos have been uploaded and shared here, ranging from movie trailers to amateur videos of cats — and everything in between. Anyone with an Internet connection can share content on YouTube, whether they are organizations with large budgets or an individual with a video camera. 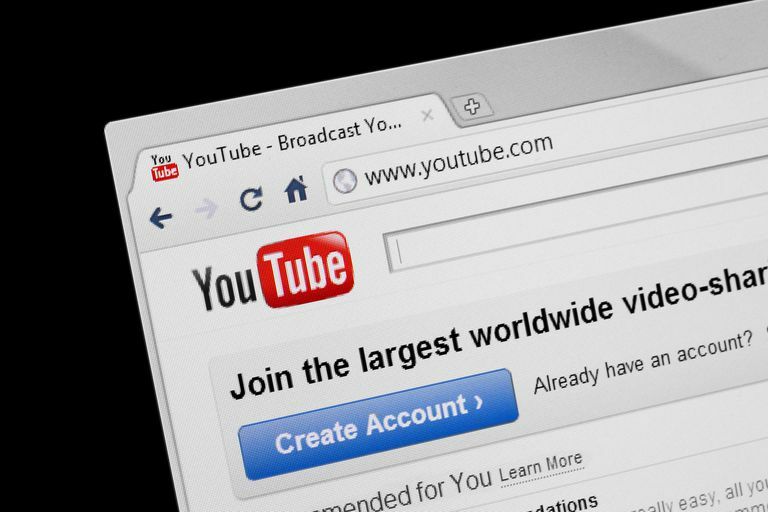 YouTube is owned by Google, and is one of their most popular peripheral properties. YouTube was the first large-scale video sharing site on the Web, and it is available in nearly every country and over fifty different languages. Anyone can upload content here, which makes for an utterly astonishing array of watchable content. In order to get personalized results, create playlists, or comment on other videos, users must create a YouTube account or associate an existing global Google account with the new YouTube account. This is so YouTube can learn your preferences; for example, say you look for videos that help you learn how to play the guitar. The next time you visit YouTube, if you're signed into your Google account, YouTube will automatically serve up more videos that teach you how to play the guitar. This feature helps YouTube personalize what they show to users so they offer a more relevant user experience. However, if you would rather that YouTube did not save your preferences, simply do not sign in to your Google account when using YouTube (learn more about what signing in to Google services means at How Much Information Does Google Have About Me?). Browse via keyword or keyword phrase. Find videos in topics and categories. Filter results by date and popularity. View the charts ranking the Most Popular videos in any given category. Read the trending topics word cloud found at the bottom of most category pages. If you find a video that you like, you'll notice that there is also a comments section right below the video. Most videos have a comments section where users can leave their thoughts, as well as a thumbs up or thumbs down icon to record their support (or lack of). Some video owners choose to disable this section; this is up to the individual YouTube user to do so. If you find a video you particularly enjoy and want to share with others, users have multiple options for sharing something they enjoy with friends and family. Email, along with every major social networking service, is offered, as well as the ability to embed the video or share the URL. Simply click the Share button for a video and you're presented with several options for sharing it with friends and family. Many videos on YouTube go viral this way; this is a phenomenon by which a video, by virtue of being shared and viewed by a large number of people, chocks up a large amount of views. Many viral videos number view counts in the hundreds of millions — that's a lot of videos that are being shared and viewed by people all over the world! Because there is such a wealth of content on YouTube, the service has given you a number of options for saving videos you especially enjoy. You can make playlists of videos easily, therefore making an uninterrupted stream. To add a video to a Favorites or Watch Later list, just click the Add to button and then choose the list you want to add the video to. You can also choose to create a new list. Another way to keep up with the people whose videos you enjoy it to subscribe to that user's account to make sure every time that they upload something you are notified. It's as simple as clicking the Subscribe button on the video information page. This is a great way to keep videos you especially enjoy bookmarked so you can come back to them again and again, whenever you like. Feel like sharing your home videos with the world? You're in good company - there are hundreds of thousands of people all around the world that upload videos every single day to YouTube. YouTube has made every effort to make sure that the uploading process is as intuitive as possible. All you need to do is find the video on your computer, fill out the necessary fields (topic, keywords, description), and click upload. You will receive an email notification once the video is completely uploaded — depending on the size of the video and the speed of your Internet connection, it can take anywhere from just a few seconds to several minutes. Whatever you may be looking for - daily yoga videos, live space exploration, cooking demonstrations, etc. — you'll find it on YouTube. It's a great place to explore interests you already have and find a few more that you can start cultivating.